Our focus is internal medicine, which means our providers focus on adult medicine with special study and training in the prevention and treament of adult diseases. Our specialized training helps particularly when dealing with the assortment of health concerns that arise as people age. Our mission is to provide compassionate, respectful, and exceptional personalized health care in a warm and welcoming environment. 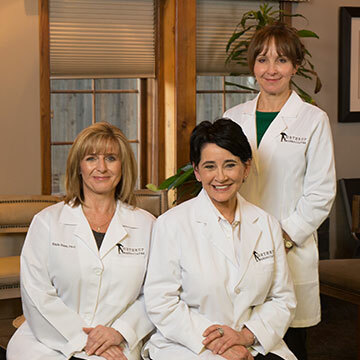 Providers like Dr. Ruby Marie-Northrup, D.O., Kayla Hunt, PA-C, and Penny Placke, PA-C have specialized training to diagnose and treat a wide range of adult health concerns. Dr. Northrup has been providing medical care to Lincoln and the surrounding area since 1999. Dr. Northrup has been providing medical care to Lincoln and the surrounding area since 1999. 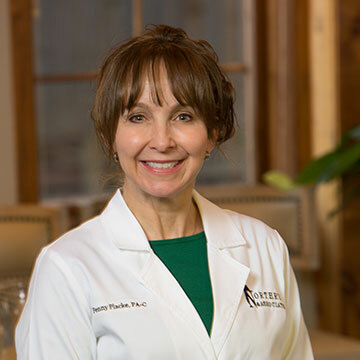 She is a graduate of Iowa State University and earned her medical degree in 1996 from the University of Osteopathic Medicine and Health Sciences in Des Moines, Iowa. She completed her internal medicine residency in 1999 at Creighton University School of Medicine in Omaha, NE. 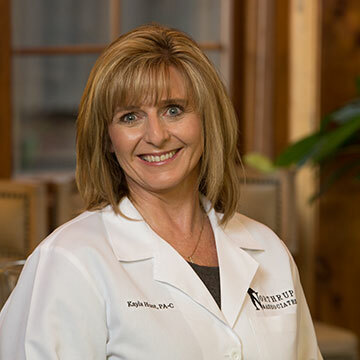 Dr. Northrup started her career at the Smith Reed Clinic in Lincoln. She opened Northrup Internal Medicine and Primary care in September of 2000. In June of 2013 she moved her practice to Northrup & Associates. Dr. Northrup, a native of Iowa, has two adult daughters, five wonderful grandchildren and two beloved dogs, Stella and Lucy. She prefers to practice in a small group where individualized care and a personal touch are easy to achieve. Kayla has been practicing as a Physician’s Assistant for over 19 years. Kayla is a native of Valentine Nebraska where much of her family still lives. She has been practicing as a Physician’s Assistant for 19 years. Kayla’s education includes a BSN degree from the University of Nebraska Medical Center. She obtained her degree as a Physician’s Assistant from the University of North Dakota. She has worked in both hospital and cardiac settings. Kayla has one daughter and likes to spend her time away from work with her family. She also enjoys all aspects of rodeo. 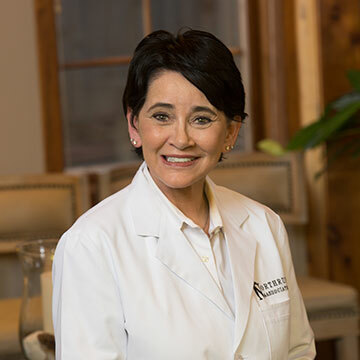 Penny has been practicing as a Physician’s Assistant for over 20 years. Penny, a native of Nebraska, has been practicing as a Physician’s Assistant for 20 years. She has a BS degree in Biology from UNL and an advanced degree from the University of Florida, Gainesville. She has worked in Omaha, Papillion and for the last 10 years in Lincoln. She loves the full spectrum of patient care and will see patients 10 years or older. She is dedicated to her patients and works hard to meet their needs. Penny and her family enjoy spending time together and love the outdoors. Justin is the clinic practice manager and has been with us since 2013. Justin Williams is the clinic Practice Manager. Justin has been with Northrup & Associates since it opened in 2013. A native of California, and a former Air Force Staff Sargent, Justin has been a Nebraskan since 1984. He has been involved in healthcare since 1995 working in DME, FQHC facilities and other clinics, taking on increased responsibilities in each. He provides excellent customer support and is available to answer questions and solve issues. Justin’s knowledge of insurance, billing, collections and customer service have helped Northrup & Associates to thrive. Justin is an avid Husker football fan and a Boston Red Sox fan. He and his family love all sports. 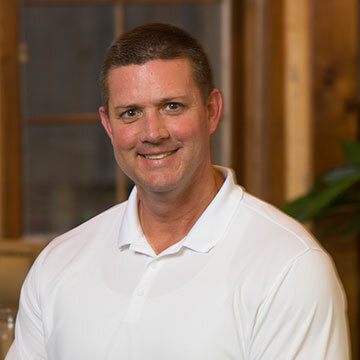 He is a baseball coach for his sons’ select team, his daughter’s basketball team and enjoys exercising and spending time with his wife Jenny. We provide complete physicals, EKGs, vaccinations and lab work as well as providing acute care for illnesses that arise. We conduct head to toe examinations, including annual checkups and women’s wellness exams. We are trained to treat breathing difficulties, broken bones, burns, contagious illnesses, urinary symptoms and more. We can provide many types of vaccinations as well as evaluate what vaccinations are necessary to travel to a different country. Northrup & Associates has an in-house lab, ensuring our patients get their results back faster so we may treat problems quickly.